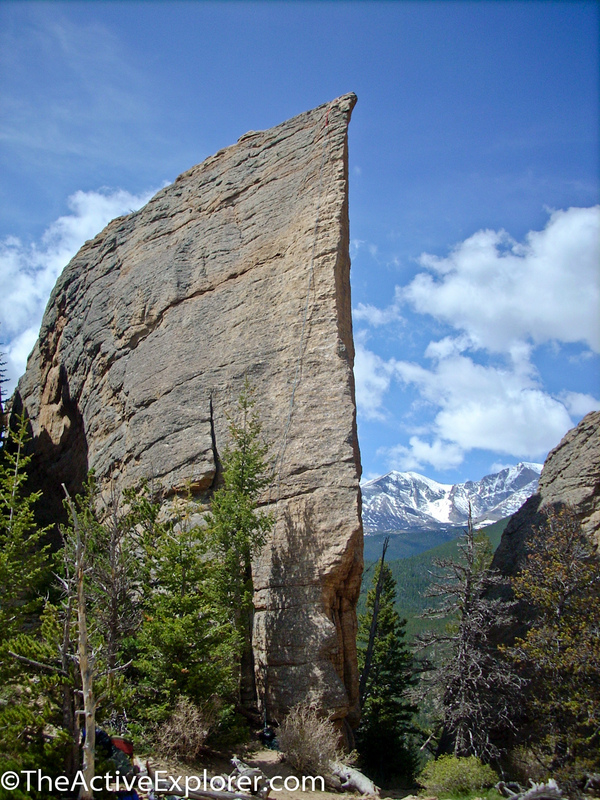 This rock is located in Jurassic Park, a popular climbing area near Estes Park, Colorado. I hiked to the area several years ago with my dad. If you look closely, you can see a top rope rigged. On the day I took this picture, there were about a dozen climbers on the various rocks. Back then I hadn’t learned to climb yet, so all I could do was marvel at both the cool formations, and the people climbing them. Now that I do climb, I’m ready to return! If you’re interested in climbing this rock, here is the beta from Mountain Project. This place is cool. I can’t wait to visit this soon!